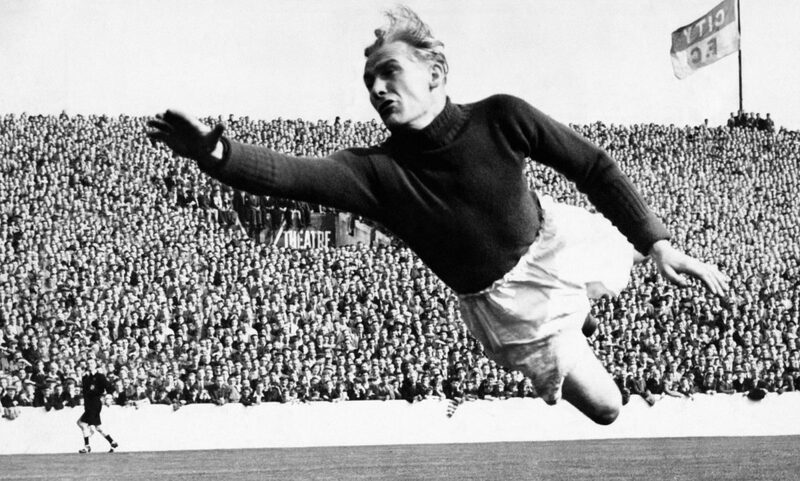 The incredible story of Bert Trautmann has been immortalised in a new film. Trautmann was in the Luftwaffe before becoming a prisoner of war. He turned down a return to Germany, settled in England, fell in love, fought against a public backlash and eventually won an FA Cup while playing with a broken neck. There was significant discontent among the City fans at the club hiring someone who had been part of the Luftwaffe, especially one who so noticeably fit Hitler’s blonde-haired and blue-eyed Aryan model. City and Trautmann would eventually reach two FA Cup finals in a row. Their inexperience cost them in 1955, when Trautmann became the first German to play in a Cup final. New film The Keeper dramatises his story and the realities of his relationship with Margaret amid the tragic circumstances of his life. Trautmann is played by David Kross in the film, which will be released in UK and Irish cinemas on April 5.